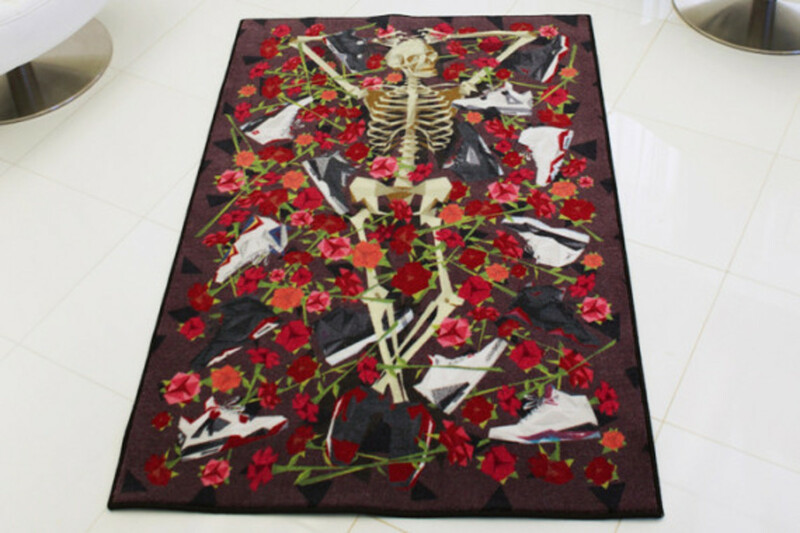 Founded as a passion project by a trio of friends in Seattle, Spilled is a self-described creative floorwear brand that&apos;s focused on bringing innovative streetwear design into the home. 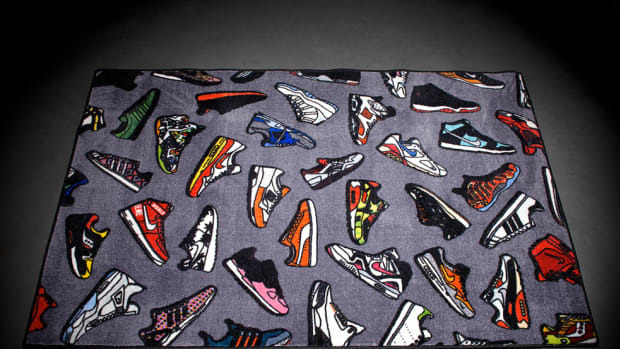 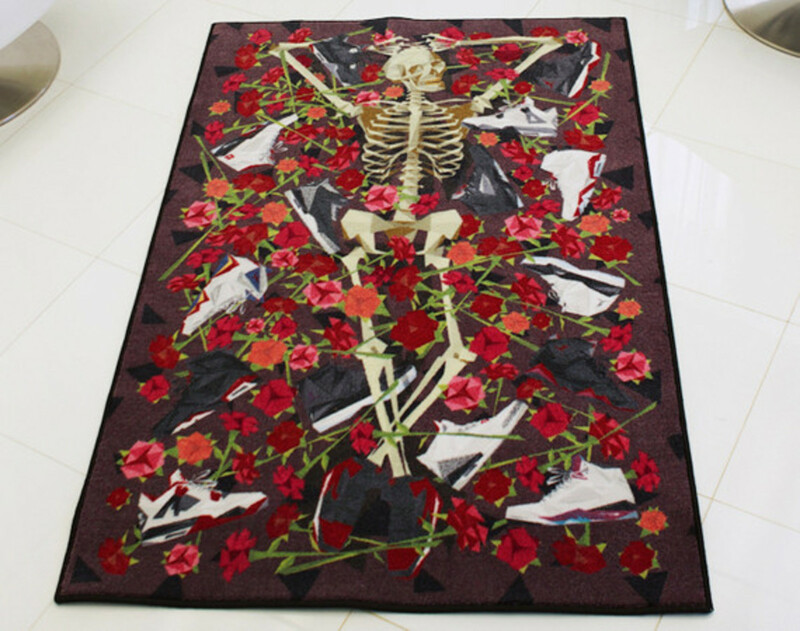 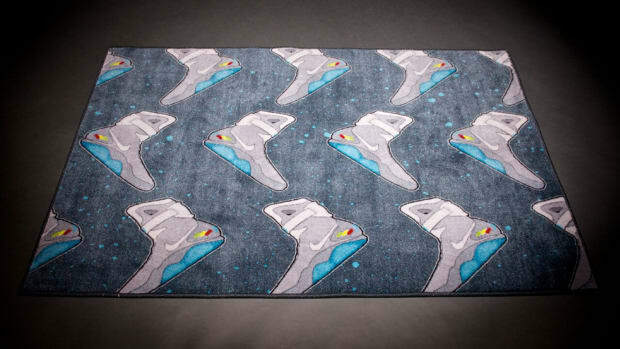 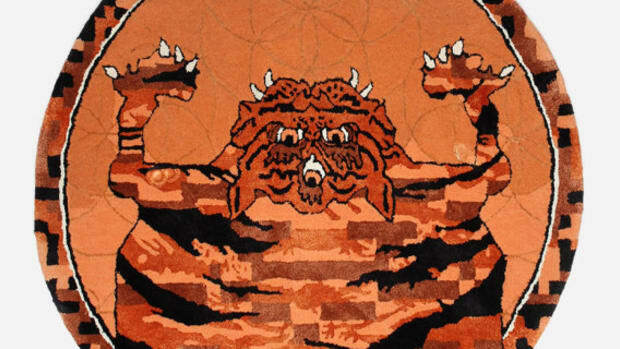 Its latest project is a joint venture with the artist and illustrator Lawrence Atoigue, aka Naturel, whose artwork graces the limited-edition DOA ("Dead on Air") Rug. 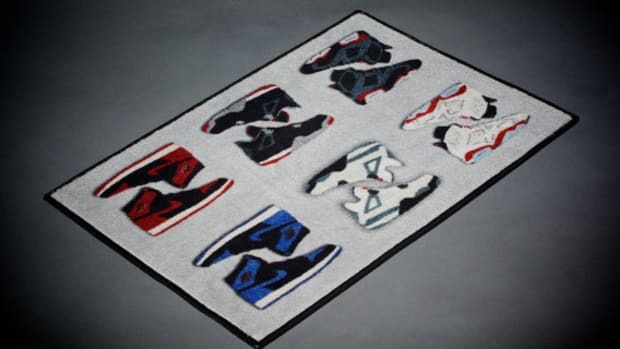 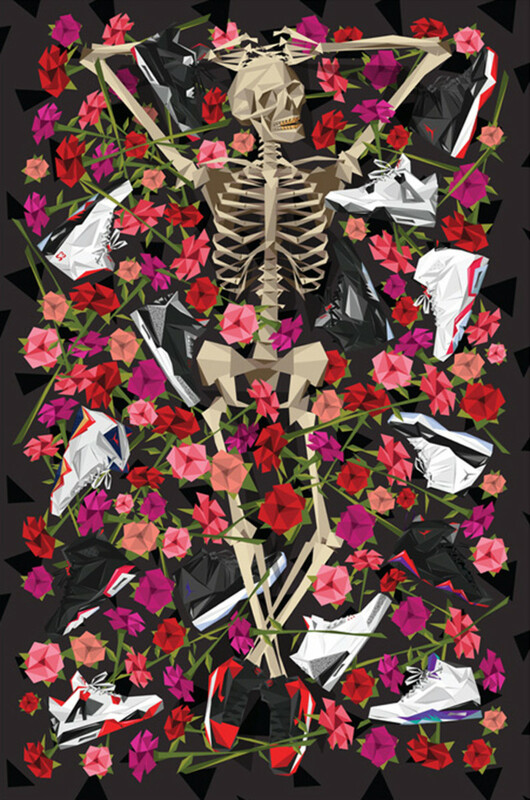 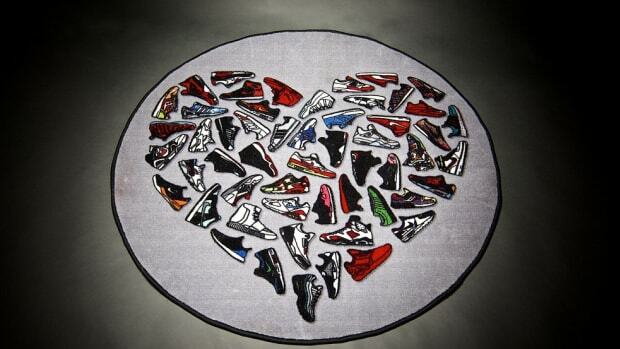 The 4&apos; x 6&apos; decorative floor covering is stain resistant with sewn edges and a no-slip vinyl backing, featuring artwork depicting Atoigue&apos;s signature motifs -- including flowers and a stylized cubist aesthetic -- and an array of iconic Air Jordans. 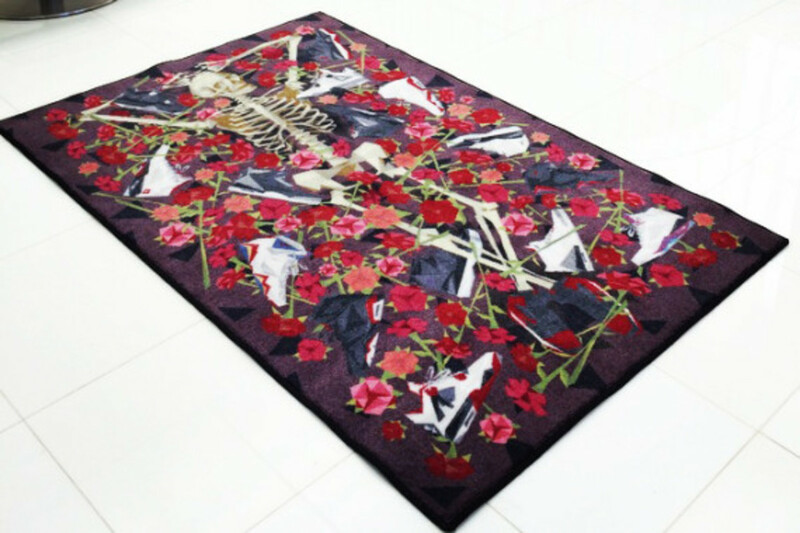 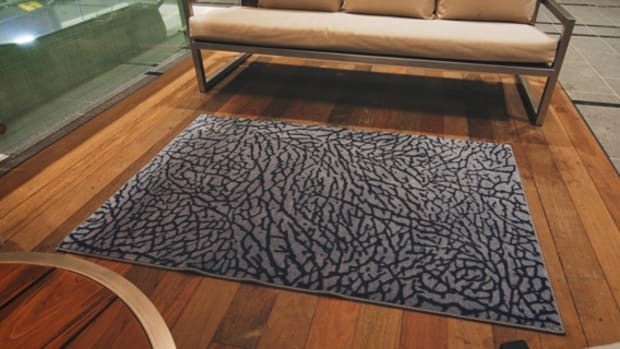 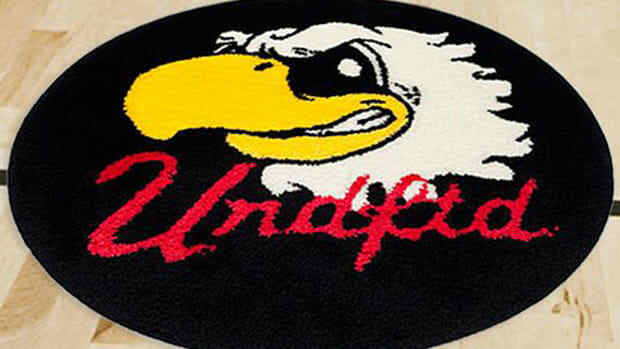 Produced in a quantity of 48 and individually numbered, the DOA Rug is available now through Spilled&apos;s online store.